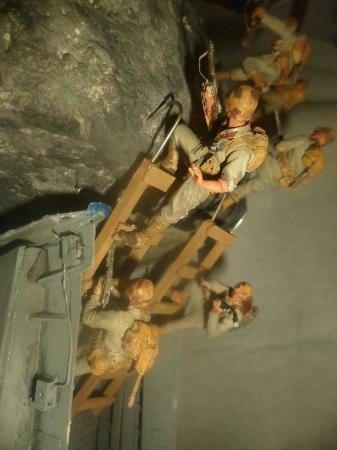 The 1st and 5th Marine Regiments of the First Marine Division would spearhead the amphibious assault by navigating a narrow channel with swift currents while dodging islands and any remaining coastal defense battery sites. The amphibious assault began at about 6:25 a.m. on September 15. 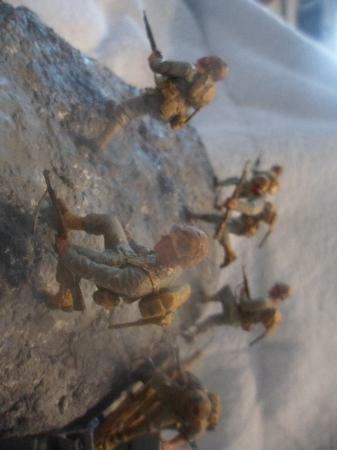 The first wave of Marines reached Wolmi Island at 6:33 a.m. and moved rapidly inland against almost no resistance. 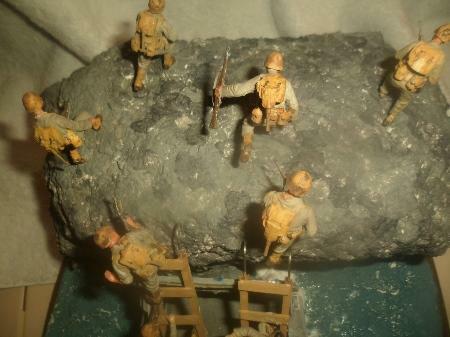 Within a few minutes, more Marines landed and moved across the island to seal off the causeway leading to Inchon. By 7:50 a.m. Wolmi Island was secured. During the assault, Far East Air Force (FEAF) combat fighters and B-29 bombers flew air interdiction missions and bombed key enemy airfields to prevent North Korean aircraft from joining the battle. The Red Beach assault team arrived at 5:33 p.m. 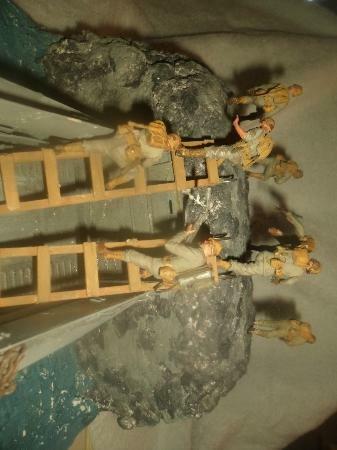 Most of the Marines climbed the sea wall with scaling ladders; however, some made their way through holes in the wall made by naval bombardment. 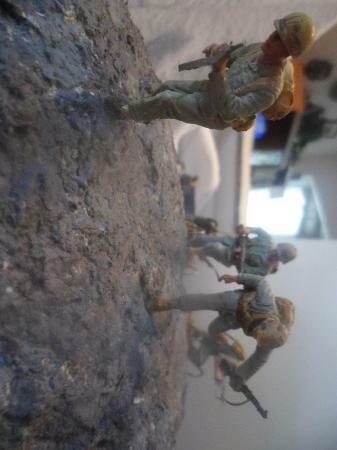 Two objectives, Cemetery and Observatory Hills, lay in front of the assault team. 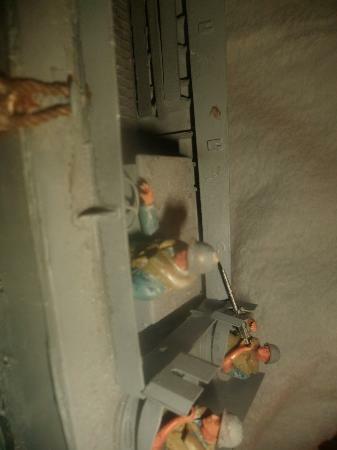 On the left flank of the landing area an intense firefight ensued when the Marines encountered North Korean soldiers in trenches and a bunker just beyond the sea wall. Cemetery Hill was taken 22 minutes after the landing. 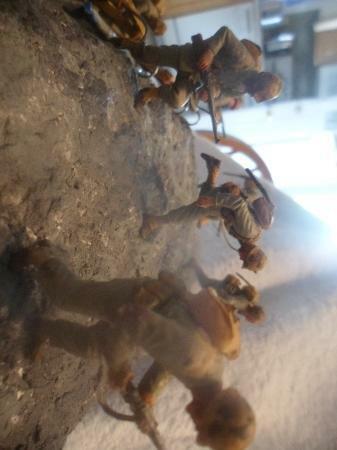 On top of the hill, North Koreans threw down their weapons and surrendered. 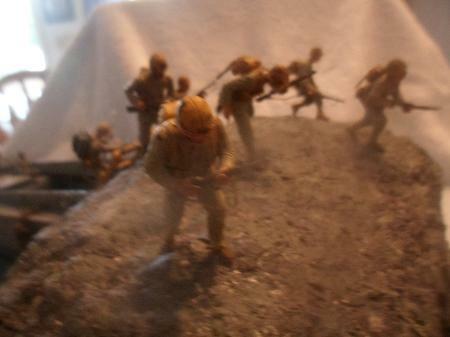 By midnight, the Marines had fought against sporadic resistance to the top of Observatory Hill. Semper Fidelis, great work! Well done! 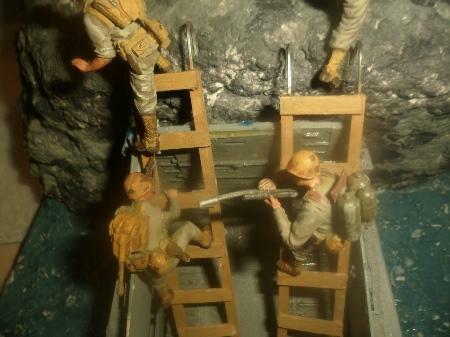 Another great diorama! 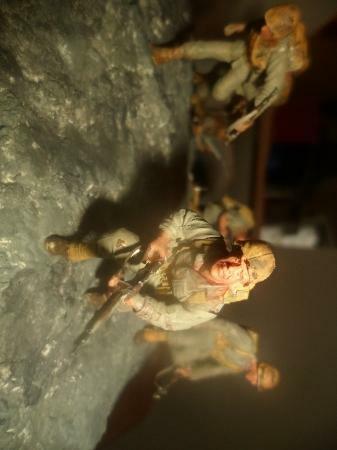 wish that I could do figures. One thing that many fail to recognize is that the US Army was also there at the Inchon landing. If memory serves me, they landed the next day and provided protection on the right flank of the Marines on the way to (and into) Seoul. 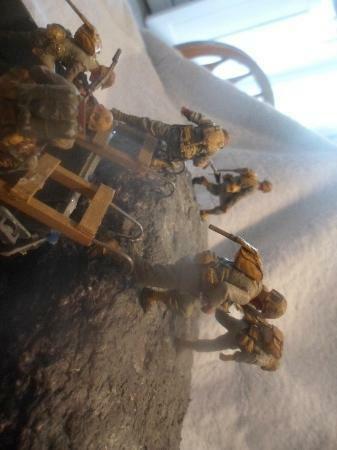 My Dad was there with the 7th Infantry Division. A Marine Lieutenant was posthumously awarded the Medal of Honor for his actions at Inchon. His name was Lt. Baldomero Lopez. 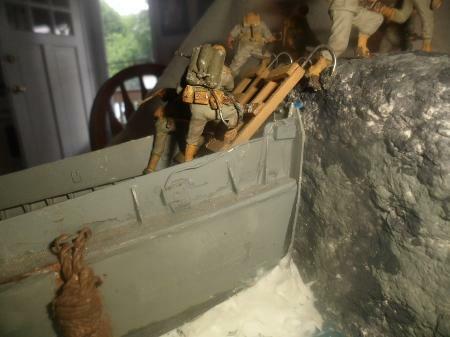 Here is a photo of him right as he was exiting the landing craft / scaling the walls. He is just about to crest the top in this picture. Minutes after this picture was taken, he threw himself on a grenade to protect his men. This is what earned him the Medal of Honor. 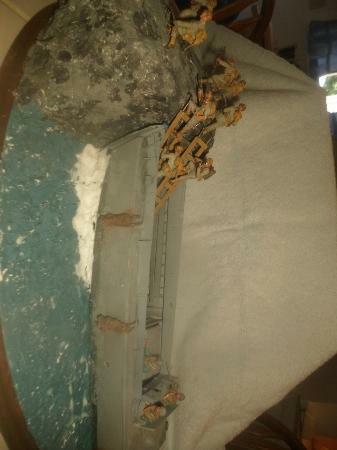 It’s a historical diorama! Really impressive! !